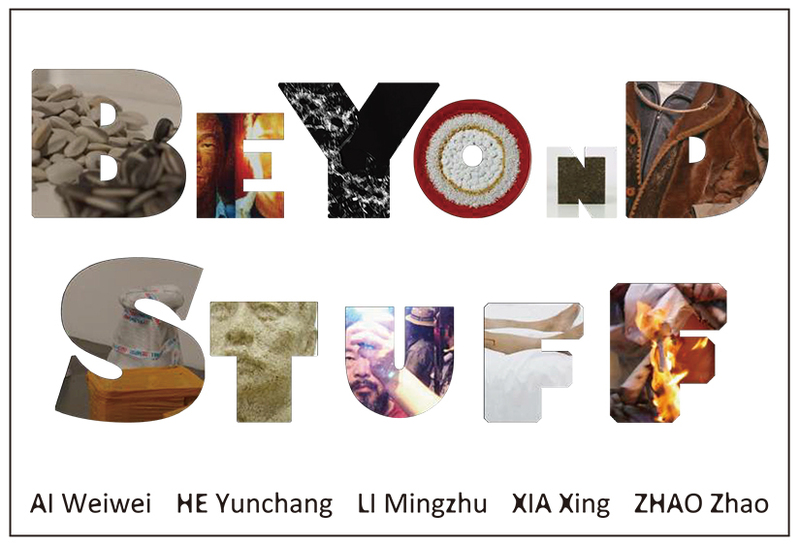 Mizuma Art Gallery is delighted to announce the opening of a group exhibition of Chinese artists, “BEYOND STUFF”, on Wednesday 15th July. The central axis of the exhibition will be the words of artist AI Weiwei which are representative of China: that “what you see is not what you see, and what you see is not what it means”. Drawing upon previous exhibitions in Beijing (2013) and Singapore (2014), on this occasion the show will feature the addition of several new works. Beginning with AI Weiwei, the show will feature work by several artists playing a significant role in contemporary Chinese art: HE Yunchang, LI Mingzhu, XIA Xing and ZHAO Zhao all continue to produce art in the midst of today’s political and societal conditions. An AI Weiwei work which was forcibly removed from view by the Chinese government in 2014 is shown in its packed state as it was at the time of its removal. This piece was intended to be shown at the Chinese Contemporary Art Awards (CCAA)’s 15th anniversary exhibition, held at the Museum of Contemporary Art Shanghai. However, it was withdrawn – not for any　problem in the work’s content, but with the aim of excluding Ai Weiwei’s name and his work from the museum. Amidst such oppressive restrictions, these artists each continue to devise new means of expression. HE Yunchang, having “democratically” asked people to vote on whether or not he should cut his own body, consequently made a one-meter cut -without anaesthetic- which forms the shocking documentary video work “One Meter Democracy”. This piece represents only a small symbol of the populace’s ongoing desperate struggle to achieve democracy. LI Mingzhu’s work “EAT MAO”, which likens Mao Zedong to foodstuffs and is made up of everyday consumable goods, is charged with criticism of both artistic expression in China and of Chinese society as a whole. It remains a forcefully impressive work for freely making use of Mao’s image. The artist XIA Xing creates work with a basis in recent current affairs, taking great influence in what he is going to depict from the media or recent events, so that his art is impossible to predict. In this exhibition, he will show a portrait of the ISIL detainee Kenji Goto. ZHAO Zhao is expected to become a leader of the next generation and has been called the heir to Ai Weiwei. In the same manner as the latter, he works with a wide variety of media including sculpture and film, sharply depicting the reality of contemporary Chinese society. In this exhibition he will showcase the new painting series “Constellations”, which likens bullet-holes to scenes of the night sky. We are honoured to introduce these artists, and we invite you not to miss this rare opportunity.